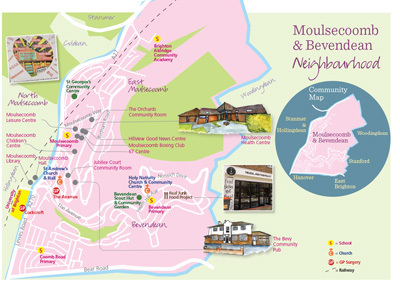 Supported by the Trust for Developing Communities, this Neighbourhood Action Plan (NAP) shows the key priorities for the community and the council for the Moulsecoomb & Bevendean area. It has been agreed through a consultation process with all interested parties and is a working document that will change and develop as opportunities arise. This NAP aims to fulfil the commitment within the Brighton & Hove Collaboration Framework working collaboratively to improve and develop Moulsecoomb & Bevendean.